Traditional clothes have always been fashionable across India. And some items from the Indian wardrobe have even achieved a cult status. The ‘Mundum Neriyathum’ is one such item. It is to the Malayali woman what the Mundu is to a Malayali man. It’s simplicity, elegance, and ease of wear allows you to interpret it as per your sensibility – from bling to subtle beige. What’s Onam if not an attempt to wear the Mundum Neriyathum, right? And gorge on the Sadhya, while trying to say ‘Puzha’? 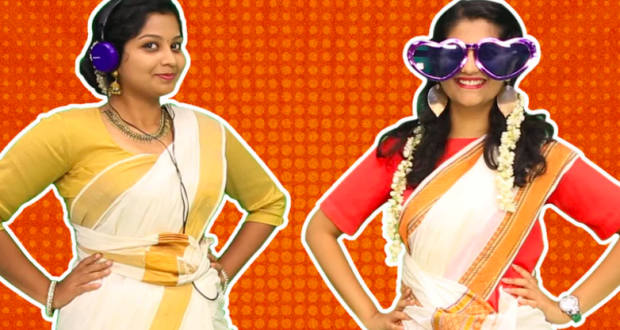 Check out The Quint‘s take on the ‘Mundu-Settu’ or the Kerala saree. It’s authentic, and seriously funny.